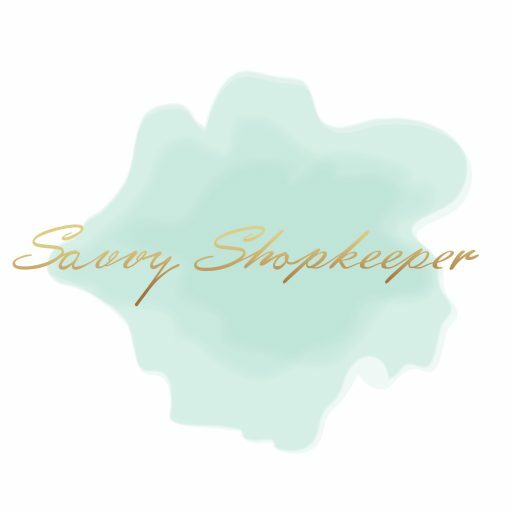 After starting Savvy Shopkeepers, a free resource and Facebook Group for shop owners of all kinds, I learned that Brick and Mortar store owners were looking for more, a group focused on owning a retail store with a physical location. So I created Master Shopkeepers, a group and community for women-owned Brick and Mortar stores. Personally, I blog to share what I’ve learned along my retail journey. I know I’m not an expert at everything retail. But, I do love to network and connect with other women entrepreneurs. So, when I designed the blueprint for Master Shopkeepers, I knew I would offer one masterclass per month. The classes would on occasion be taught by me – depending on the topic – or by guest instructors/interviewees. Each month, the topic is determined by the needs of group members. Each member completes an online survey after they join and they have the opportunity to hop on a call with me, too. Both important, because the feedback helps shape the content, discussions, and classes in the group. Master Shopkeepers launched in November 2018 and we’ve been lucky enough to have some amazing and generous instructors so I’d like to give them a shoutout! Melanie specializes in weight loss and life coaching in general but spent some time focusing on Money Mindset during our masterclass. Several members in Master Shopkeepers had questions about rebranding and I knew right away Jennah was the person to cover this topic. She spent over an hour covering the essentials and answering questions. Brittney spent time with us covering social media scheduling tools and how valuable it is to schedule our content. Cheryl recorded a one-hour bonus session for the group where she talked about branding specific campaigns and events for brick and mortar businesses. Samantha was our first interview style masterclass. Samantha and her daughter have built an extremely successful business and in particular an engaging and buying Facebook Group. So, we spent over an hour interviewing Samantha about her tips on building an active and loyal group of customers. I can’t run Master Shopkeepers without the generosity and expertise of others. So, it’s important that I mention and thank these instructors. We have some upcoming masterclasses that I’m very excited about. With topics ranging from managing a team of employees, how to optimize your Google My Business listing, how to master Instagram stories and more. One other thing I’ve learned about the Master Shopkeepers group is that it’s a sisterhood and it warms my heart! It’s not only a place to learn, but it’s a place where supportive and encouraging friendships are being developed. It’s a safe space to ask questions… and on occasion vent or cry when needed. If you are a brick and mortar store owner and Master Shopkeepers is something you’ve been looking for, I encourage you to join. It’s a monthly membership, packed with classes, group calls, and coffee chats. You’ll have access to ALL of the masterclasses mentioned above and more. No long-term commitment required, but it is territory protected. Please check the list of locations before you sign-up. Click here more information or to join Master Shopkeepers today.